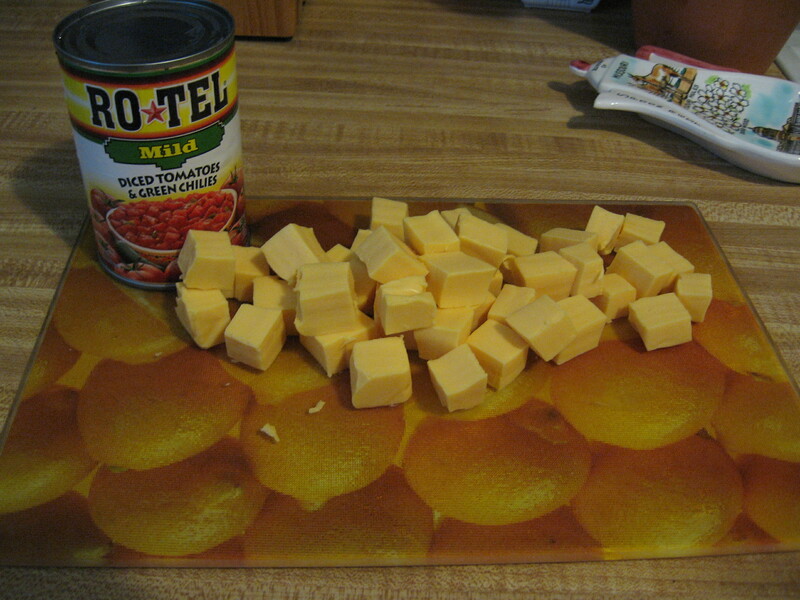 the very first recipe i have saved in my book or clipped out food ideas, is southwest chicken cheesy skillet. i saved this recipe probably over 6 years ago and haven’t made it in about 4. but i thought it was worth another go since it was the first recipe in my book, i mean i must have saved it for a reason. 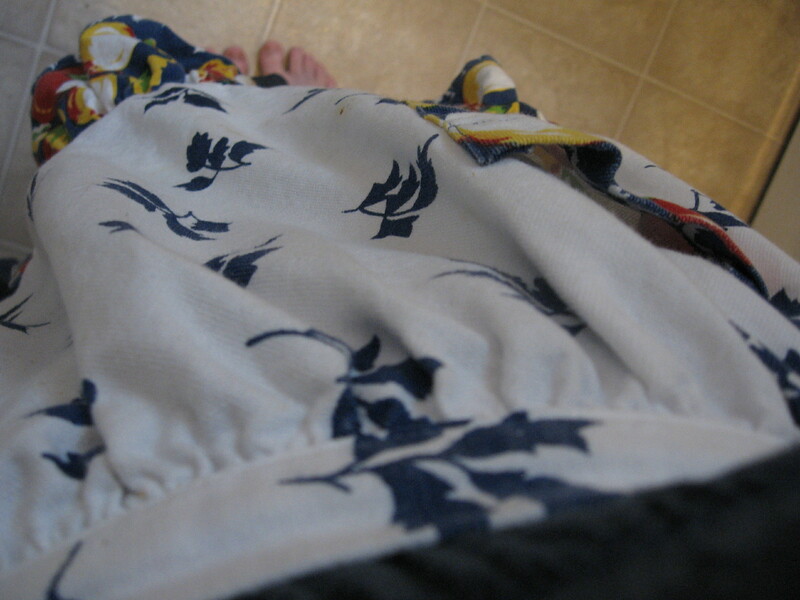 the most important decision i have before starting to cook is what apron to wear. 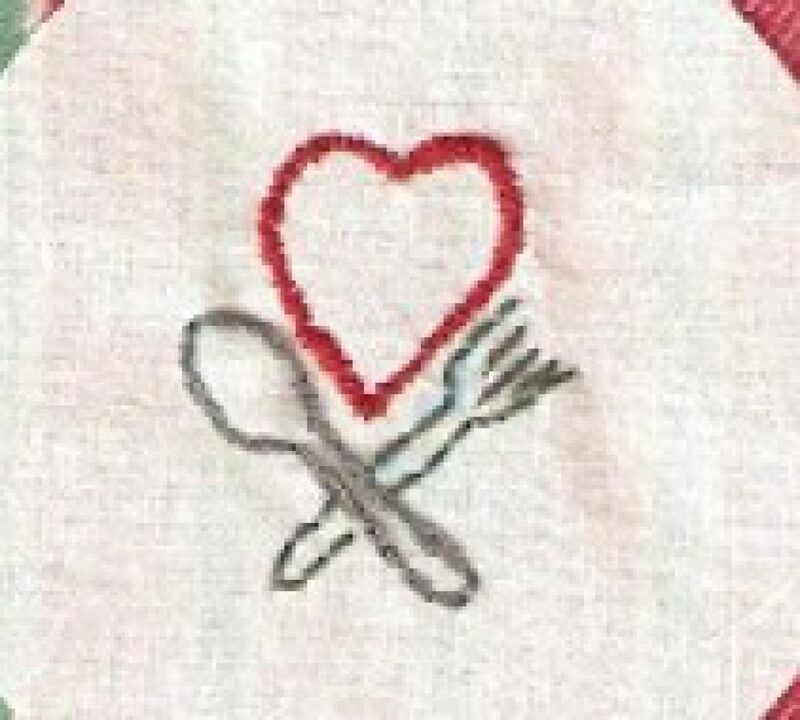 i collect vintage aprons. what makes an apron worthy enough for me to buy……1. it has to be under $10 2. it has to be vintage and not a reproduction 3. color and design (i’m a sucker for ric-rac) i will admit most the time i coordinate them with my outfits. nothing is more american in a recipe than velveeta cheese. the question i always catch myself asking when cutting it up is…..what is cheese food? the recipe didn’t call for it but i also added in red beans. i’m trying to learn to work with dried beans because they are cheaper but that also means i got to soak them. preplanning for something like that is not my strong suit. the first time i did this i followed the directions 2 cups of water for 1 cup of beans soaked 24 hours. the beans were still crunchy. so this time i did 2 1/2 cups of water and soaked the beans for almost 3 days. the beans were still crunchy. what is the trick to this? i’m not ready to give up. any helpful hints? 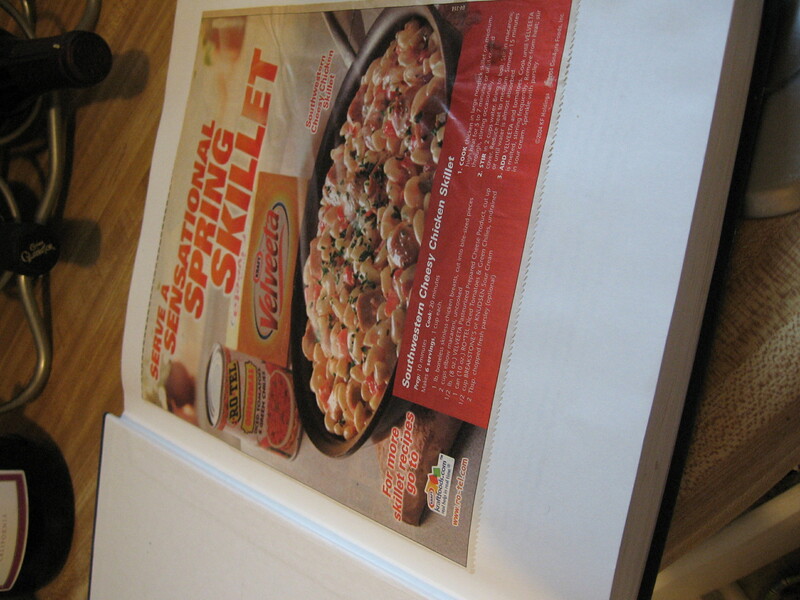 i have also started to catch on with these recipes that only involve a skillet. there is no way all that food can fit into a normal size skillet. it always goes to the top and when you start adding and stirring everything in, in various stages, food always starts over-flowing on the sides. from here on out these recipes are going into a deep saucepan. 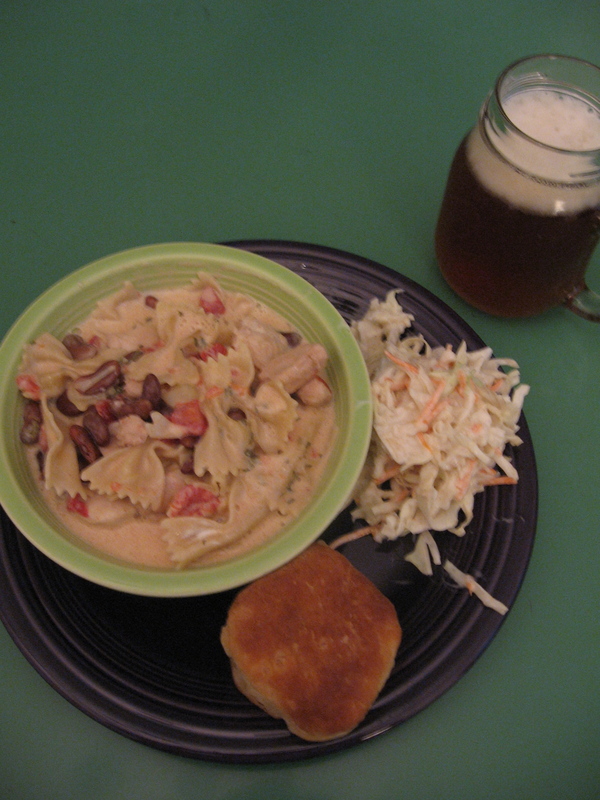 the whole meal ended up being a hodge-podge of sorts with the southwest cheesy skillet, homemade coleslaw, a biscuit with honey and a tallgrass ipa.